• Kobe Bryant took the NBA by storm during his 1996-97 rookie season. The three stripes snagged the young Philly native a year later and supplied Bryant with his first signature sneaker, the adidas KB8. It featured adidas' Feet You Wear technology, which was designed to feel like a literal extension of the foot. 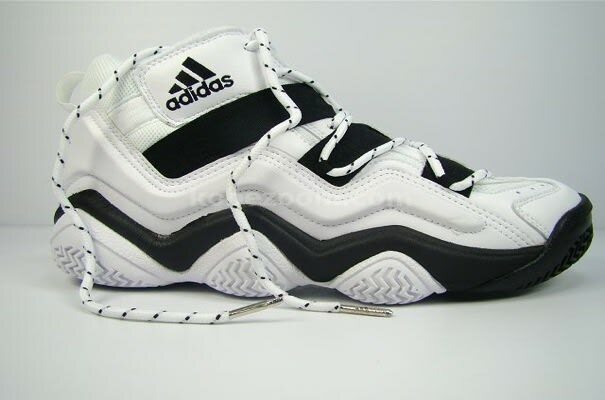 This shoe was later retro'ed in 2005 as the adidas Crazy 8, as Bryant was no longer with the brand.